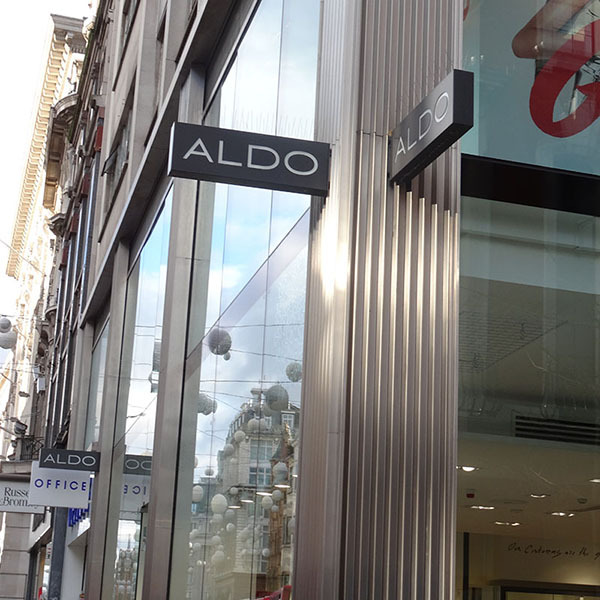 The Aldo Group is a privately held Canadian company that has been active in fashion footwear and accessories since 1972. 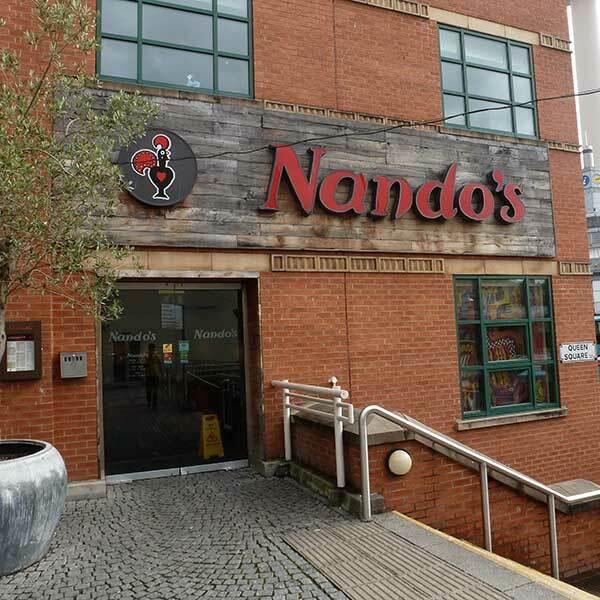 Under the leadership of its founder/owner Aldo Bensadoun, it has become the country’s major player in its industry. 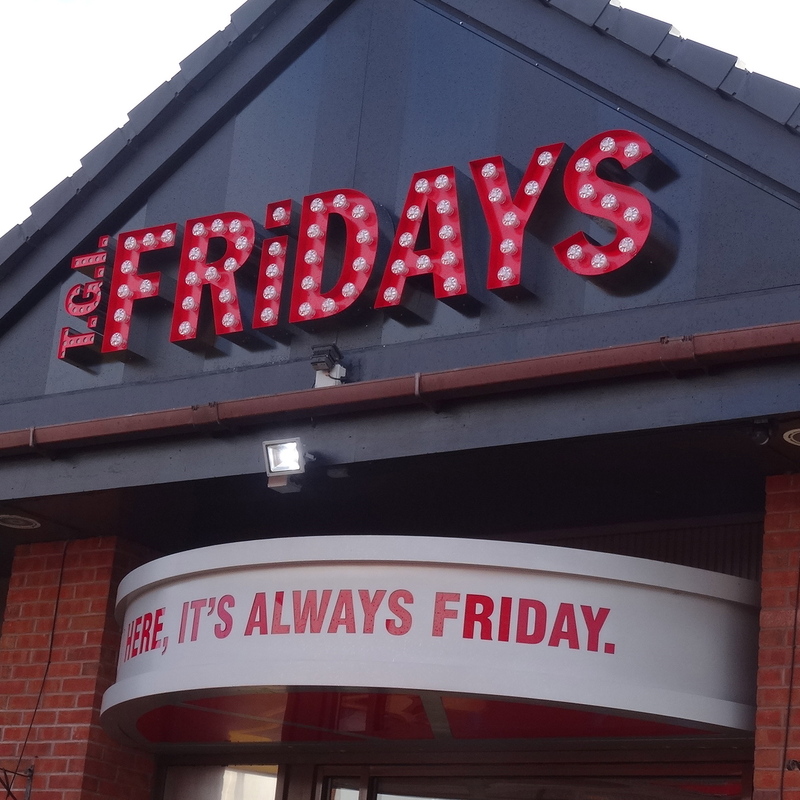 The Group owes its reputation as a retailer to its ability to research and develop new concepts and create its own products. 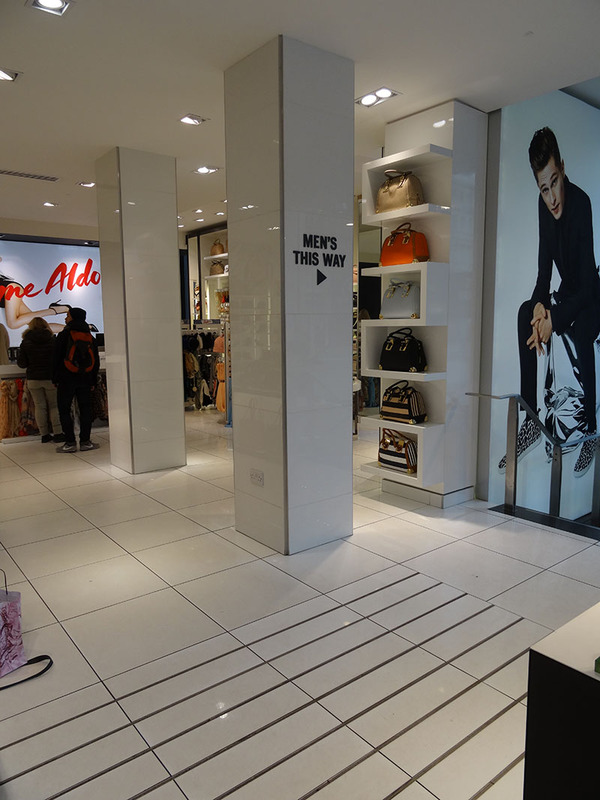 The Great Northern Tiling Company were proud to be involved tiling the latest concept store on Oxford Street, London. 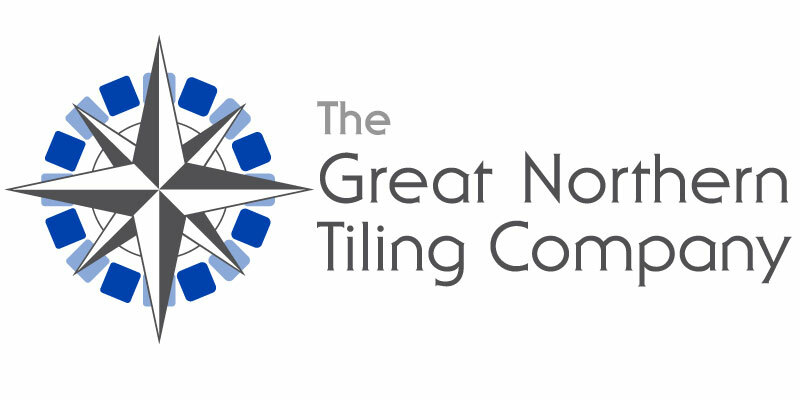 The 600mmx600mmx 15mm tiles were specially imported by GNTC from Italy for this prestigious project and delivered direct to site. 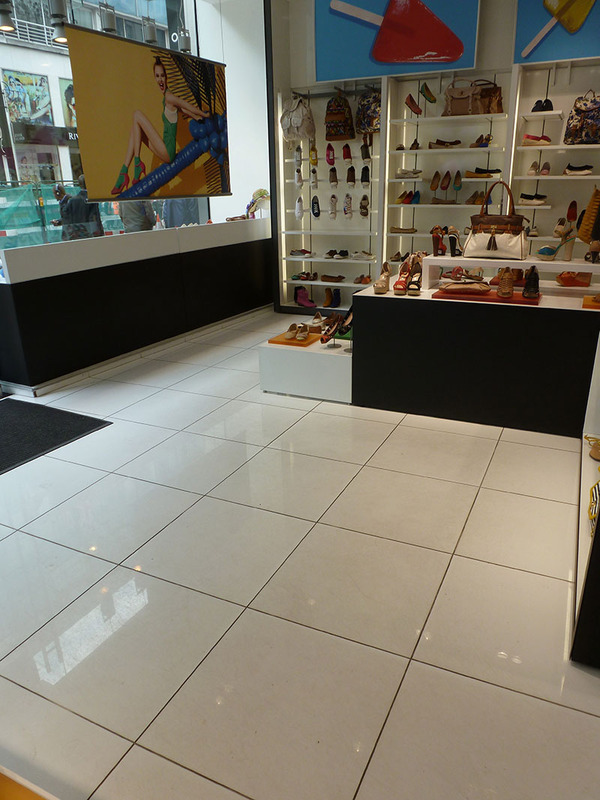 The existing floor was very uneven and had to be leveled using rapid setting latex to achieve the desired finish. 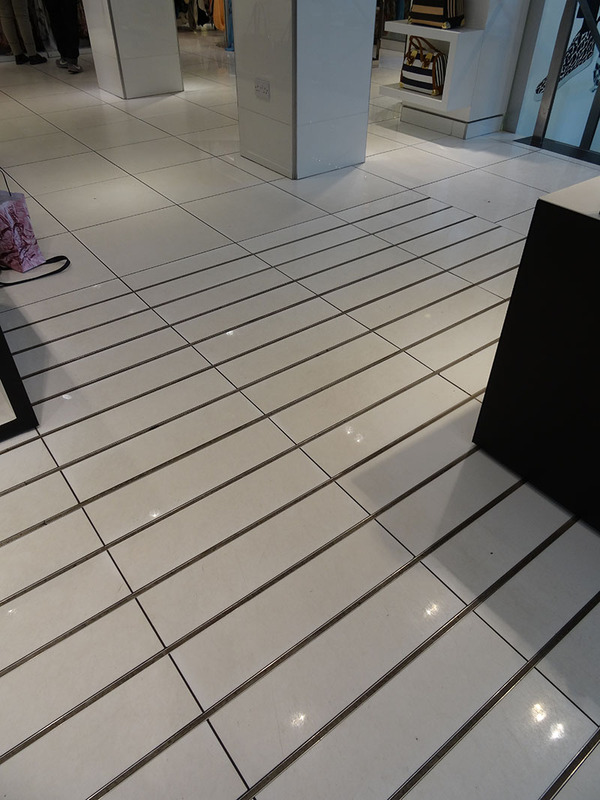 The inclement British weather and the excessive amount of rainwater that was walked into the store called for a design change. 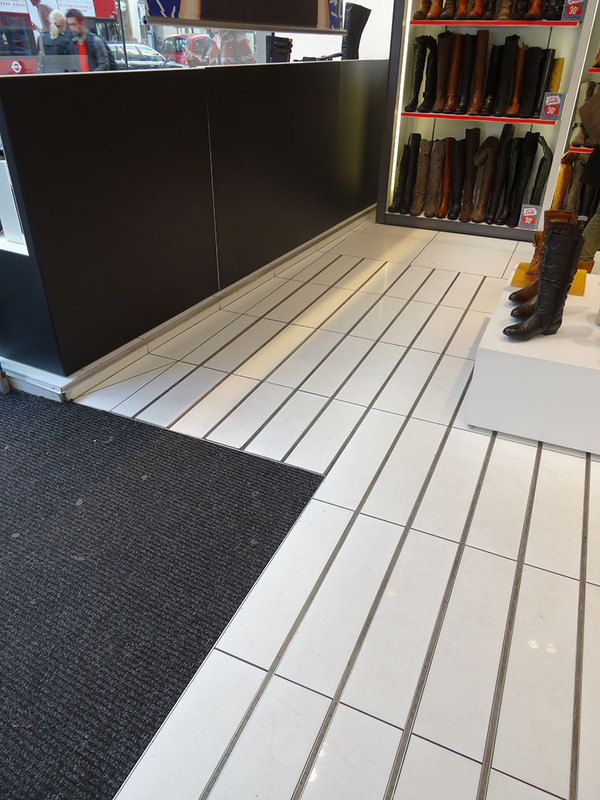 A few months later we were asked to refit the tiles using specially water-cut strips inter locked between expansion joint to provide a safer entrance to the store. 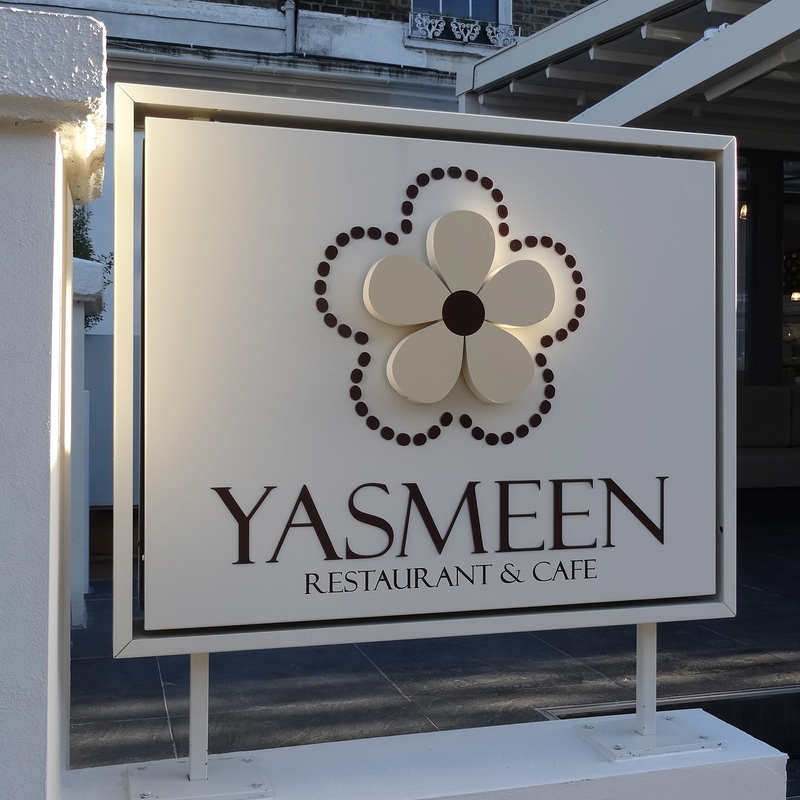 Yasmeen Restaurant- 1 Blenheim Terrace, St John’s Wood, London.